China might be problematic place for VPNs or for data privacy in general, but the same doesn’t apply to Singapore. It might be governed partially by China, however it doesn’t have the same data retention laws as the country. Its relatively safe, just like neighbouring Hong Kong, as far as its status as a VPN base is concerned. There was nothing found in our study regarding jurisdictions that could indicate the Singapore might not be a good location for IvacyVPN to be based in. Therefore, you can trust IvacyVPN for being safe enough for you to trust your data with it. Our logging policy roundup, in which we studied the privacy policies of over 100 providers, marked IvacyVPN as “Safe”, implying that it doesn’t keep any problematic or personally identifiable users logs ever. The encryption standards at Ivacy are top of the line and there have been no major problems reported with the service since its inception till the time of filing this review.It is strictly against those users who deploy the service to garnish their criminal or sabotage activities of which a notable incident is the suspension of services in Nigeria, where many users had been indulging in fraudulent activities while using the VPN as a shield. The refund policy of Ivacy VPN is highly clear. The trial period lasts 7 days in which you have a bandwidth cap of 7 GB and if you exceed that, the refund becomes void. People who pay in the form of Cryptocurrencies or Paymentwall are not liable for the refund policy. Now moving on to terms of usage, Ivacy VPN doesn’t allow people living in African countries except for South America to use their VPN. This happened because the VPN received numerous complaints of fraudulent activities stemming from that very region and using Ivacy VPN as a cover. It goes on to show that the company has pretty much zero tolerance for any shady practices that anyone might want to indulge in while using the VPN. On the other hand, Ivacy strictly follows a zero logs policy which means that your information is safe and secure. Affiliates are welcome to work with Ivacy but they are not partners and only earn a commission if the sale remains valid and if there is a refund, no payment is made, $100 is the minimal threshold for the commission amount to be transferred to the affiliate. 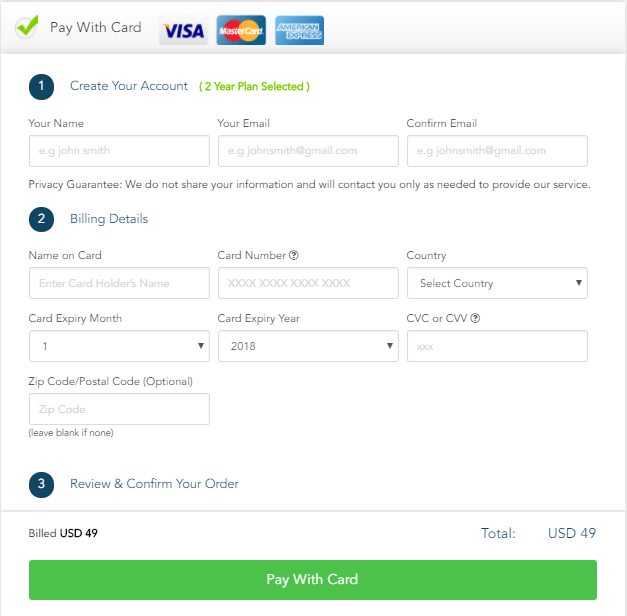 As displayed in the screenshot below, Ivacy offers users the ability to test the service via a 3-day PAID trial. Though we would prefer it to be FREE, you do receive quite a lot for a minimal price of $2.50. This includes unlimited bandwidth for testing the service’s capability while streaming online or downloading torrents and the same list of features you would get from a premium subscription. Before we get down to all the pricing plans at Ivacy, you really need to hear about their 5-Year special. 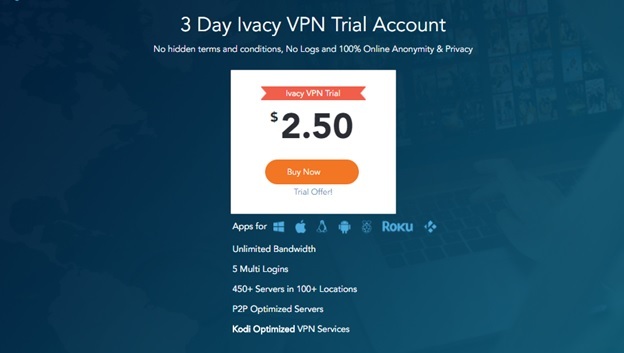 Getting a VPN like Ivacy with such great features at just $1/per month is definitely a deal that’s too enticing to miss out on, but it’s only for those who actually want to use it for a good 5 years. There is also a cap of just 1000 subscriptions available on this deal. If this deal can be cut down to apply to a 3-4 year plan, it would become a lot more considerable than it currently is. But still, the aggregate value of this deal is quite near to their next great deal that applies that is limited to a fairly reasonable 2+1 year plan. For their regular pricing, you have three plans available. Ivacy has tagged their 2-year plan as their best seller and why shouldn’t they? It’s great. The plan is billed once at a full-time payment of $49, which makes it come down to an average of $2.25/per month but this is not only the case, you get another year free in this price. On the other hand, the limited five year deal at $1.34/month is considered as one of the best cheap vpn, billed once would total $60, which means that for an addition of $11 on the price of the 2-year plan, your subscription gets a whopping increase of 3 years. If you have tried the service previously, we recommend trying the five-year plan if it remains available. Now coming to the other two plans i.e. the yearly and the monthly. The yearly plan is billed at $39.95 for a full one-time settlement, making it average $3.33/month. As compared to other popular VPN services, Ivacy offers one of the best varieties on price and plan out there to suit a wide range of user needs. The monthly plan by Ivacy is the least desirable at $9.95/month. Very few would actually go for that and the huge price difference between the monthly and yearly plans is an established industry practice to mother more subscriptions on the longer plans and deter people from getting VPNs for very short durations. Ivacy is no different, but the yearly plans here are good enough to be considered and are certainly no ripping you off. With Ivacy’s yearly plans, you are getting great value for your money spend and we strongly recommend going for them irrespective of whether you are a regular VPN user of an amateur looking to secure a good deal. The lifetime subscription plan at Ivacy is the same 5-year plan mentioned in detail above. It is billed once that a price of $60 and will unlock all the features. So, if you are looking to engage long term with a credible VPN provider, then they don’t come better than the lifetime subscription plan offered by Ivacy. This one’s definitely a keeper. 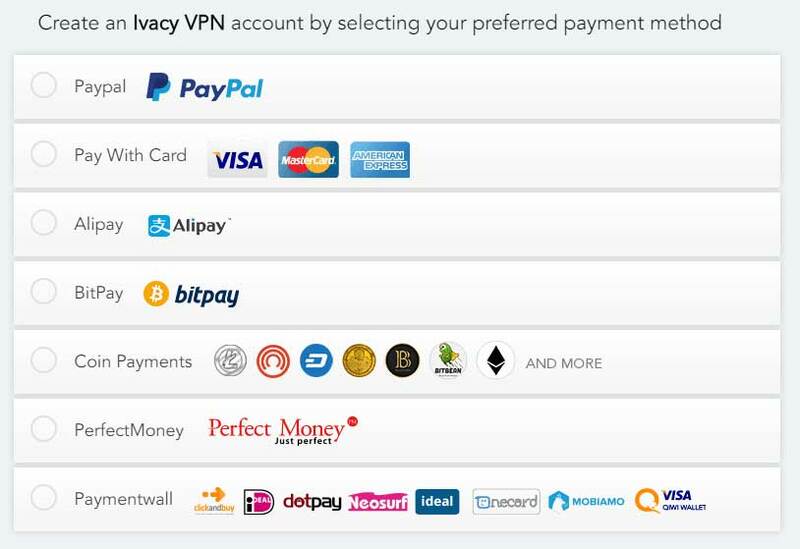 The list of payment options is exhaustive at Ivacy VPN, with all major and some not-so major payment options available. New buyers or existing users have the option of paying the subscription amount in anything from PayPal to Bitcoin, equal in value to the amount specified in the pricing plan. However, you need to be careful while opting for payments with Cryptocurrencies and Paymentwall options. i.e. you won’t be liable for their refund policy if you pay through these options. On the rest, the refund policy remains valid. They don’t keep your credit card information, due to their logging policy so that’s a definite plus, increasing our trust in the strength of their credible services. Ivacy VPN provides compatibility with nearly all popular OS platforms through their dedicated app repository. The newest addition to this list and probably the one we welcome the most, is the Extension for Chrome. Ivacy previously didn’t have i,t and it has been a long time coming, but its now finally arrived and works amazingly well. All of their apps are deftly designed, with careful attention to a clean, interactive UI and UX design with a lot less unwelcome cluttering that you see on other apps from similar VPN providers. The other major platforms, which have their own dedicated apps are Mac OS, Android, Windows OS and IOS, but the compatibility options for Ivacy don’t stop here. Ivacy VPN can also be deployed on other dedicated platforms like Consoles, Smart TVs, Linux, Blackberry and even OpenELEC, but what we liked the most was the option to connect with ever more popular Kodi, a free and open-source media player software application that provides that greatest range of add-ons and skins to make your media viewing experience extremely worthwhile. Now we come to what’s missing and some recommendations for Ivacy VPN’s future compatibility options. Firstly, there is no extension for Firefox or Safari, so that’s not good and something that needs to be taken care of as soon as possible. On the other hand, we would have loved if Ivacy provided compatibility with Stremio, which is a similar media player software application as Kodi. The market for online viewing platforms is not just growing but diversifying and best vpn for kodi like Ivacy need to up their game and provide compatibility options with these newer genres of consuming entertainment online, if they want to keep growing their base with younger generation groups like the Millennial’s. The range of servers and their relative locations is one of the best features of Ivacy VPN. Offering more than 450 servers in 100+ plus locations, Ivacy’s diverse network server infrastructure ensures that the ping times remain low, speeds remain fast and there is no lag or blockage in unlocking special services related to streaming, gaming, torrenting and P2P sharing. If you have downloaded the Ivacy VPN app for Windows, Android or even Mac, you will have the option of choosing your “purpose” of connecting through the VPN. These “purpose” range from streaming to torrenting and choosing anyone will prompt a list of the best servers for executing that task. There is no limit on Server Switching either and you can indulge in it a countless number of times and as much as you plausibly feel necessary. PPTP, SSTP, L2TP, OpenVPN, and IKEv2 are the most secure VPN protocols available and they all are offered by Ivacy VPN irrespective of which pricing plan you choose. Among these protocols, PPTP is the least preferable as it has become weak over time. We recommend using OpenVPN or L2TP as your preferred protocols as they are practically impenetrable, guaranteeing your privacy and anonymity online. As far as encryption is concerned, Ivacy uses the 256-bit standard encryption in its VPN. How secure is that? 256-bit encryption implies that 1.1 X 10^77 possible number of combinations must be checked before you can decrypt it. If someone were to give trying to decrypt Ivacy’s 256-bit encryption protocol, he/she would need at least fifty supercomputers working continuously for a momentous 3 X 10^51 years with a processing rate of checking a billion keys each second. Gladly, a feat like this is not practically plausible, so you can definitely trust Ivacy’s encryption standards to keep your data packets secure. Invented by Ivacy VPN itself, Split Tunnelling is a great feature to be able to deploy in a VPN. And as the name of the feature implies, you are allowed to “Split” your data traffic online, making it possible to route some prioritized data through the VPN, while leaving the rest go directly without VPN cover. This feature can help in increasing both, speed and security and comes especially in handy when you need to send or receive something fast through a VPN. 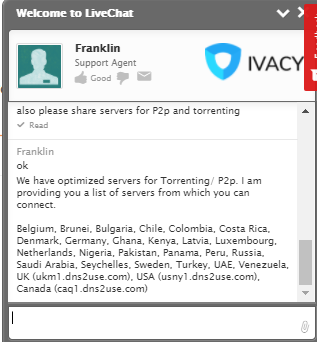 If you engage in P2P or torrenting a lot, then this feature is definitely a keeper and one of the prime reasons to vouch for Ivacy VPN this time around. Much of any service’s credibility and market reputation rests on just how much the service cares for its customers. At Ivacy VPN, existing and potential customers always have ready support if they face any issue related to pricing, vague policies, configuration guides, refund assistance and more.. 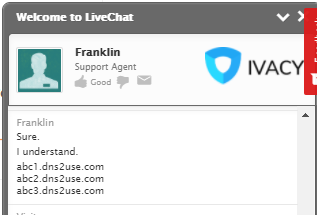 The support comes in various forms but the one we liked the most was its 24/7 live chat feature as its not just a bot masquerading as a customer support guy, but there is actually a very knowledgeable person sitting there, ready to guide you whatever your issues are. There is also a present if you want to go through with customer support by engaging that medium. The Social media profiles of Ivacy remain pretty responsive, although they reply faster through a personal message than on a comment on any of their threads. Their blog has regular updates on how to watch major sporting events through bypassing geo-restrictions with their VPN, installation guides and more. If you want further info on installation guides, device compatibility or other similar technical instructions, then you can always head over to their excellent troubleshooting page where you will find all the information you are ever going to need with the VPN. The troubleshooting page also includes Frequently Asked Questions (FAQs) about Ivacy VPN and a useful search bar if you are not that much into manual scrolling to find answers to your queries. The search bar can bring forth technical assistance guides and plenty of how-tos to handle a myriad range of issues ranging from app crashes to changes in pricing plans. Ivacy offers more than 750+ servers in a 100 plus locations, so its not difficult to find the nearest server to your location and ensure the best possible speed. According to our review, Ivacy was consistent in its speed which remained around 38MBPS and our 50MB connection. The streaming speeds were fast as well, but for the video to remain HD, we needed to disconnect other devices from the VPN, so that’s a glitch, but not too much considering the fact that Ivacy VPN didn’t disconnect once during our 2 hour viewing experience on Netflix. We advise you to choose IPs that are closest to your location as the speed tends to decrease in ascending magnitude with respect to distance from your location. In addition to this, Ivacy VPN does very well in protecting you, passing our DNS and IPv6 leak tests. One of the most popular open source media player software applications out there, Kodi has fast gained credence for being the best medium to stream your online media from. But still, Kodi needs a VPN to perform at its best. That’s because, without a VPN, you won’t be able to watch geo-restricted content, install geo-restricted channel or ad-blocker add-ons and be vulnerable to surveillance and snooping attempts. Ivacy VPN is one of the best options to use with Kodi and we found it to reduce speed limitations to a very high extent in addition to performing its regular duties like unblocking geo-restricted content. On mediums that Ivacy provides dedicated apps for like Android, IOS, Mac and Windows, Kodi is as simple as plug and play. Just download the Ivacy app for your device and Kodi will be covered just like the rest of your online activities. On the other hand, if you want to install Ivacy VPN on Kodi through other means, Ivacy provides a full guide to configure their VPN on Kodi on all platforms. The process of Ivacy download and configuration is pretty easy all those Operating systems which have compatible apps. For Windows, Mac, Android, and IOS, you can find the dedicated apps on their website. 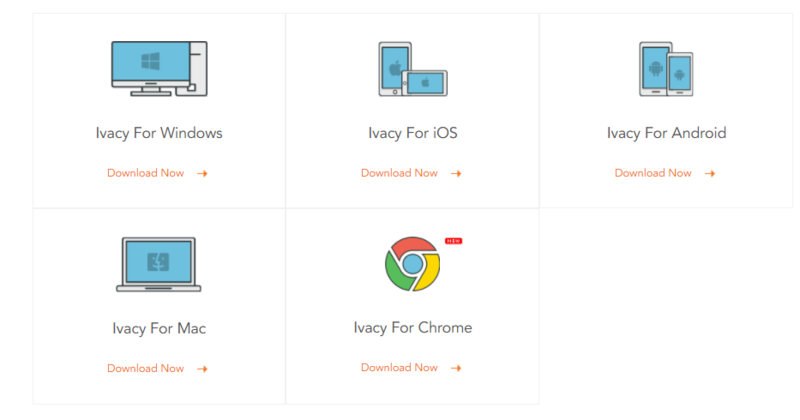 There is also a Chrome Extension available that can be downloaded from the Chrome Web Store and that’s one of the best options if you are looking to connect Ivacy through your browser only. Netflix is a hot favorite currently among the list of paid online content streaming platforms out there. Its more popular than even Hulu and Amazon Prime, but there’s one inherent problem that Netflix users face all around the world and that’s Netflix’s geo-restrictions on content. Most of the amazing shows and movies are just available in Netflix US, but if you are living in Croatia or the United Kingdom, you won’t be able to see them, but here’s where Ivacy comes in handy. Ivacy VPN has dedicated servers that allow you to specifically unblock Netflix US. The customer support was of real help here and they promptly answered when we raised the query to know these very dedicated servers that power Ivacy Netflix. These servers worked amazingly well and we watched nearly 2 hours of content from Netflix US, without a single break or disconnection experienced. The video quality during streaming remained great and the speeds never lagged too much. But there’s one advice, if you want to watch content in the best quality, you would need to disconnect Ivacy on your other devices so that the service can dedicate all of the user bandwidth on a single device. Ivacy Netflix requires a lot of bandwidth and if you don’t do that, the video will remain a bit shaky and that might spoil your whole experience. Torrenting and Peer-to-Peer File sharing, despite its searing popularity, can turn out to quite dangerous for your operating system if you indulge in it unprotected. This happens because there are many hackers out there in the torrenting sphere who use this medium to plant malicious ware in your system. Ivacy VPN offers dedicated servers for Torrenting and P2P activities, in the same way, it does for Ivacy Netflix so that no one can snoop in on your data packets that easily or ascertain your exact IP address. You can easily get the list of these servers from their 24/7/365 live support window present on their primary website, just like we did. The list of these dedicated server locations is exhaustive, allowing you plenty of space to continue your torrenting activities unhindered. 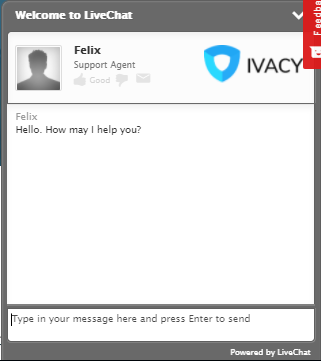 In case you need more help, Ivacy’s customer support is highly responsive and extremely cooperative in handling your queries. Ivacy VPN has an extremely interactive and user-friendly website design that is easily compatible with both, desktop and mobile versions. Navigation is pretty easy and if you are willing to buy a certain pricing plan, you’ll see the following prompt extended after you have selected your preferred payment option. We Selected “Pay With Card” and then we were required to submit our email address and enter a password, along with selecting a unique username. These details will form the crux of your user credentials and will be the only way for you to login to your Ivacy account. After filling the credentials, you need to fill in the billing details in full as any field left unoccupied won’t allow the transaction to go ahead. After you have done all of this, you will be directed to do an email verification and once that’s done, your account at Ivacy would have been created. Now you are ready to commence your Ivacy download by selecting your device compatible app available on its website. The username and your password is the only way for you to login to your Ivacy account any time you want, in case you forget any of these, a “Forgot my password” option is available to help you retrieve your account. Sign up for an Ivacy Subscription and secure user credentials. Commence Ivacy download by selecting the dedicated Windows app from Ivacy VPN’s website. Install the Windows app and fill in the user credentials once prompted. Secure Ivacy VPN’s formidable user privacy controls including protocol selection, purpose selection, IP switching options and more through the great Windows app. Installing the Android app is very easy and the app is easily downloadable from Google Play Store. Here’s How it’s done. 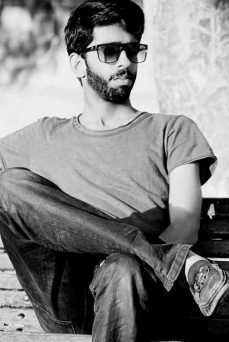 Download the Ivacy VPN Android App from Google Play Store. Commence Ivacy download by selecting the dedicated Android app from Google Play Store or from Ivacy VPN’s website. Enter your User credentials and the Ivacy Android App will start working on your device. Ivacy VPN has recently included a Chrome Extension to initiate its first dedicated add-on for compatible browser support. The Extension can be easily downloaded from Ivacy ‘s Website or from the Chrome Web Store. Ivacy VPN works the best on Mac and surprisingly even better than it does on Windows or Android OS, according to our result, and even the installation is stress-free. Download the Ivacy VPN Mac App from Ivacy’s website. Commence Ivacy download by selecting the dedicated Mac app from Ivacy VPN’s website or the iTunes store. Enter your User credentials and the Ivacy’s dedicated Mac App will start working on your Mac. How to Use Ivacy in China? ExpressVPN and NordVPN offer dedicated Chinese VPN pages for downloading their native apps in mainland China. Ivacy sadly offers zero information on how to use their services in the country. The Google Play and iTunes store have already blocked the provider. This means you can only download the software using an encrypted connection. Expats/travelers visiting China can, of course, opt to install the Ivacy app on their dedicated devices before landing in the country. Reddit undoubtedly exists as one of the best communities/forums on the internet to receive unbiased opinions on different services/products, while also having proper discussions on a variety of different topics. Upon researching on Ivacy, we thought to delve into its Reddit reputation. There are plenty of mixed reviews about the provider, some claiming that most reviews are spam, while others clearly stating the VPN does give a few issues, but is still pretty good for its decent pricing. Another Redditor claimed that he signed up for the lifetime deal for Ivacy and over a period of 6 months has experienced a nice and stable connection on a 100 mbit connection. Another common perception about the VPN in this review is that it is definitely one of the best in terms of pricing, despite the rare disconnections. He further goes on suggesting other services like TorGuard, CyberGhost, and AirVPN, two of which support VPN + Tor Configurations! Comment from discussion Evonos’s comment from discussion "Anybody has experience with Ivacy VPN". Protocols PPTP, SSTP, L2TP, OpenVPN and IKEv2 OpenVPN, L2TP/IPSec, PPTP, SSTP, and IKEv2. Protocols PPTP, SSTP, L2TP, OpenVPN and IKEv2 PPTP, OpenVPN and L2TP/IPSec. Ivacy VPN is now one of the most trusted names in the world of VPN and according to our Ivacy review 2019, this VPN is extremely safe in terms of protecting your privacy online. The encryption standard is the best according to industry norms and the protocols supported by Ivacy are also top notch. Ivacy doesn’t keep your data logs or complies with government requests to solicit information, so its highly safe and recommended from our end as a must try! You won’t be disappointed! How do I use Ivacy? Ivacy VPN is built to service maximum user-friendliness through its barrage of natively developed multi-platform apps. These apps are the perfect VPN client and through them, you will have the option of selecting your own preferred IPs, purpose selection, protocol changeovers and a whole lot more. Other great features include a kill switch and split tunneling, to provide you with a great experience. And even if after that, you are experiencing any difficult or technical glitch, their customer support is readily available to solve all of your queries quite promptly. Ivacy VPN has definitely improved upon its services in the past few years and now it’s as good as any other VPN in terms of providing online security and protecting your anonymity. The only areas of improvement we would like to see progress it would be the addition of extensions for other browsers like Firefox and Safari and some more servers to allow it to match the consistent speeds provided by other top-grade VPNs across the world. The software is extremely user-friendly, customer support is readily available, there is a kill switch, option for split tunnelling, multiple protocol support and more but the most important fact, which is evident by the recent introduction of its Chrome extension, is that it’s progressing in the right direction and that’s enough to support and recommend Ivacy VPN’s service to every user out there. Our final rating for Ivacy is 3.8 stars out of five. It can improve if it matches the few improvements suggested above in our holistic Ivacy review.